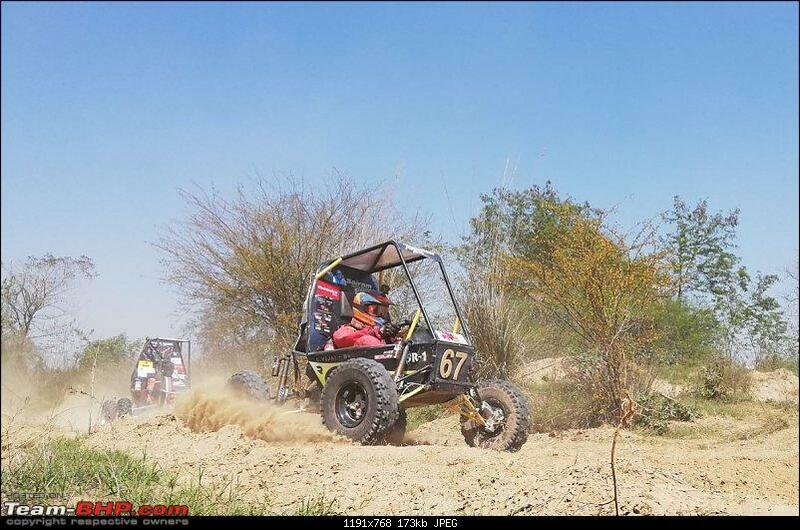 Unique experience as a Technical Evaluation Judge at BAJA 2019 student motorsport event! Cars have always pulled my heart strings and it is only natural that I am excited at the prospect of them racing against one another. The very first races that I was involved had small HotWheels toy cars slid down a makeshift track made of a plank on a chair at our living room. The passion for racing continued to the school days too where I still remember being reprimanded one morning at School for cheering our bus driver to overtake another of our school bus (it was a big spectacle every day, or at least that is what the 12-year-old me and my school mates thought)! That passion could hardly be suppressed to this day. My relationship with Motorsports has varied in being part of a Motorsports team, being a spectator in many exciting races at legendary tracks and lately being a race-day track guide for kids in the local track. My appreciation and understanding of Motorsports have now matured but the passion still remains raw. 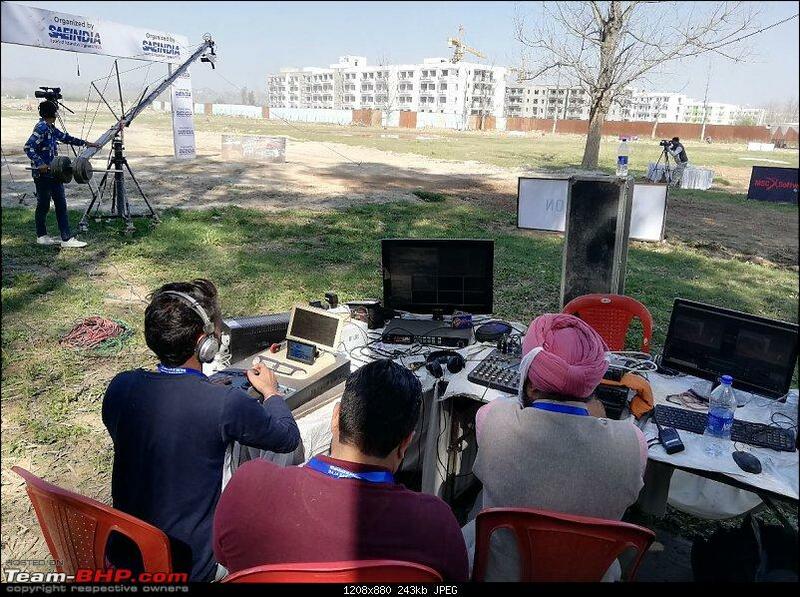 My enthusiasm just doubles up when students are involved and that is how I landed upon an opportunity to be a part of the Technical Evaluation team for the recently concluded SAE India BAJA 2019 event at IIT Ropar (Chandigarh). 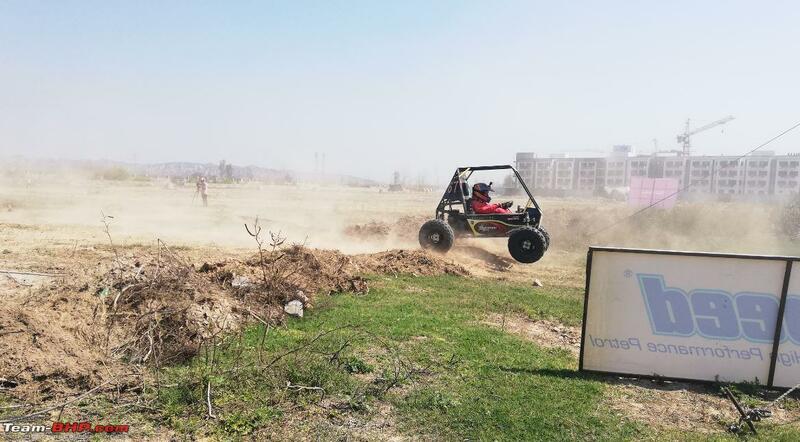 As a Motorsport enthusiast, it proved to be a great experience for me personally and professionally to evaluate the all-terrain vehicles built by Engineering students. I would, therefore, like to start this thread with my experiences and perspectives that I gained in this event and hear about fellow members personal experiences in being at Racing events. 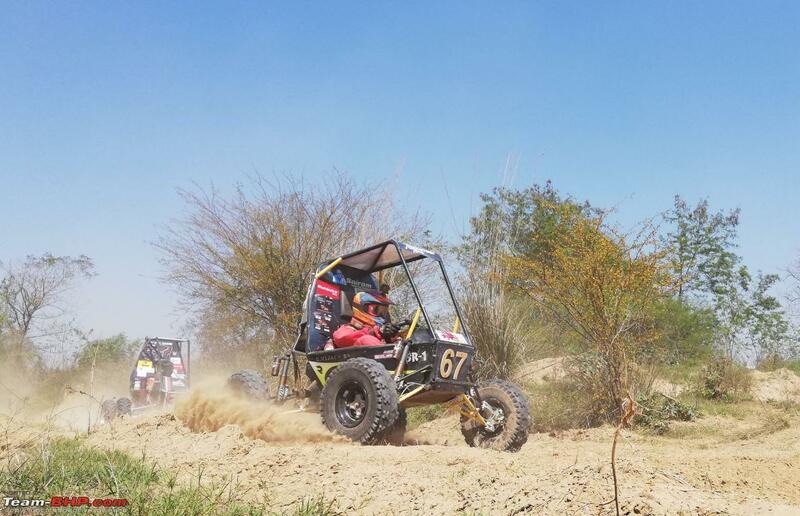 What is the SAE India's BAJA Competition all about? 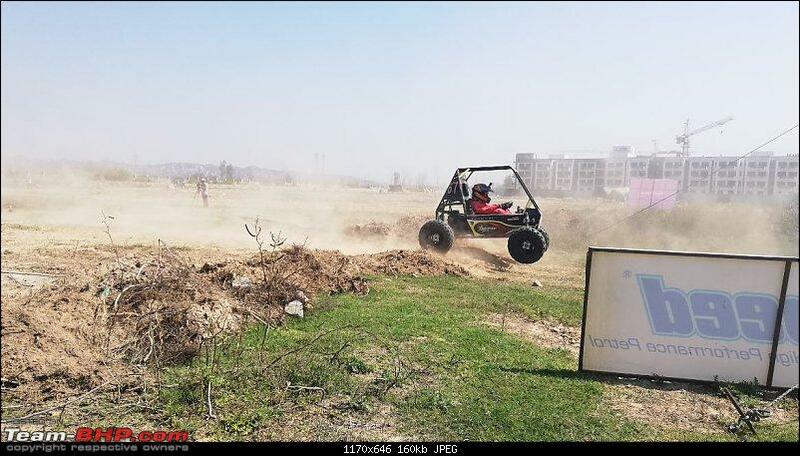 This is an Indian edition of a global student Motorsports competition where a student team is tasked to design and build an All Terrain Vehicle(ATV) to compete with one another in a series of tests. 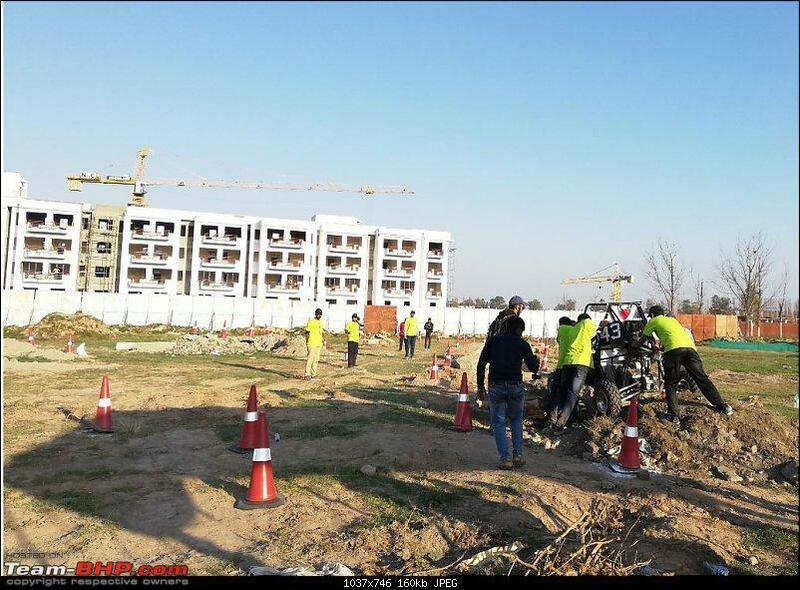 The tests are designed to evaluate the structural design, suspension capabilities, dynamic abilities and durability of their vehicle. Apart from the Engineering, students also get the opportunity to exhibit their management skills in the cost, sales and marketing events. Team's proposals are also evaluated for the environmental impact involved in fabricating the car. 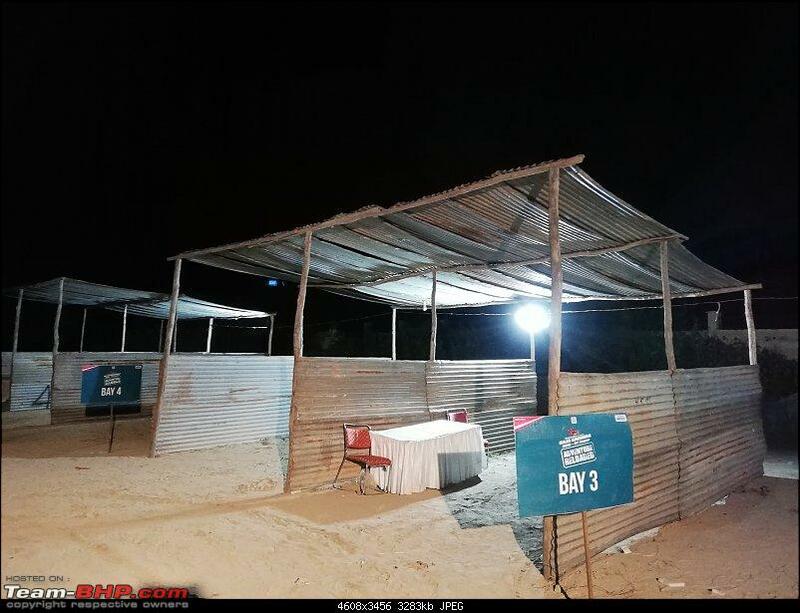 The event takes place in two places. 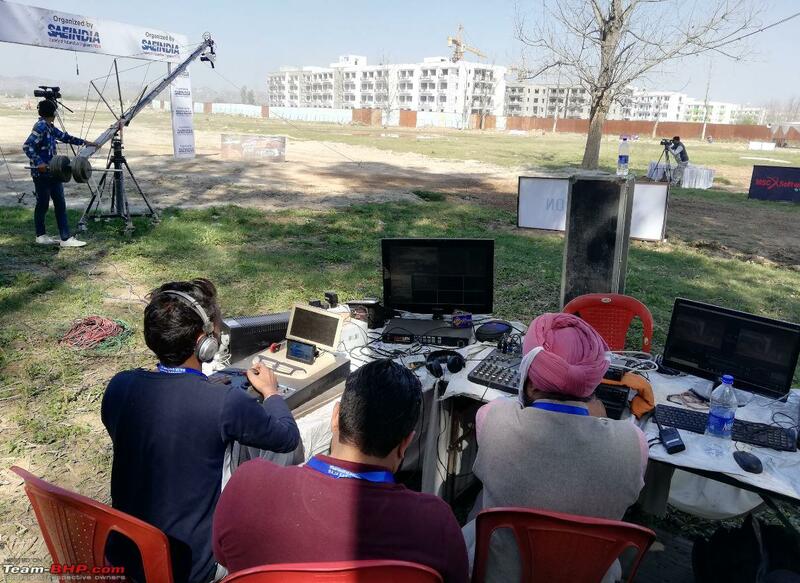 The older and the biggest event in Pithampur, Indore where there are around 150 teams and the newest site at IIT Ropar, Chandigarh where around 80 teams participate. It is said that around 380 teams applied this year and the finalists are the ones who are invited to the location with their ATVs. The teams have to pass through a Virtual round of design evaluations to get the green light for fabricating the car and proceeding to the main event sites. 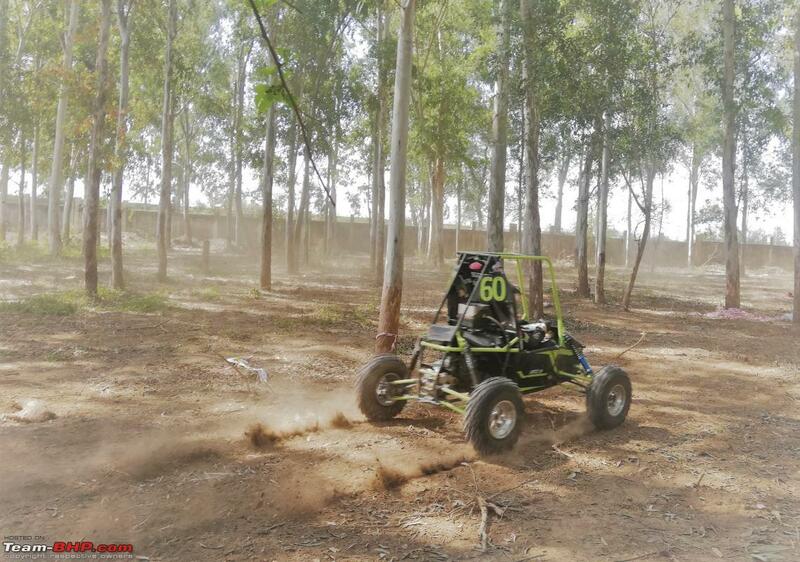 The competition regulations mandate using a standard specification Internal Combustion Engine powering a transmission system of the team's choice. 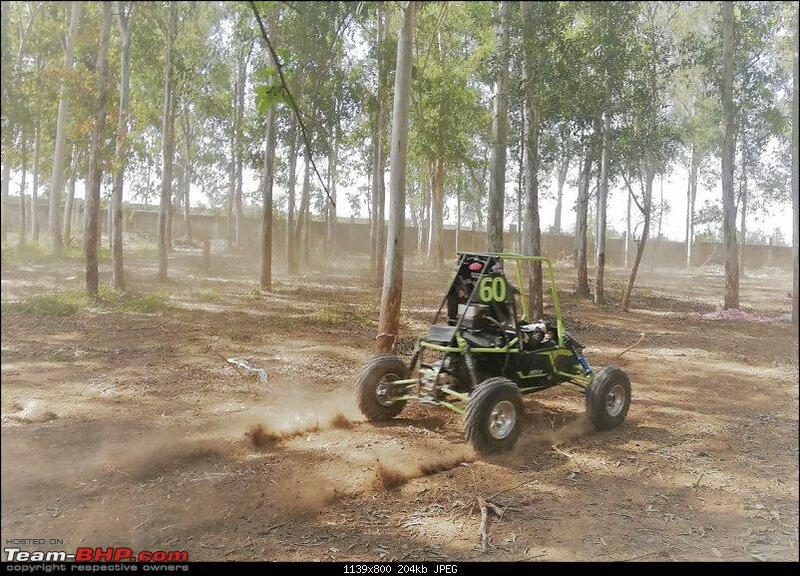 All teams are supplied by one manufacturer with a 305cc Petrol Engine producing 10 hp. The engine is kept stock and no modifications are permitted. Though this seems like a limiting factor, it does well in normalizing the field and bringing the focus on the Engineering design of the structure and other power-train components. The chassis of the vehicle is a space frame made from tubular steel of certain metallurgical composition and size. The teams should come up with a design that is optimised for weight, protection and load bearing. The width of the entire vehicle is capped at 162 cm while there no limits on the length and weight permitted. Hybrid power systems of any kind are forbidden. The ATV is expected to be equipped with a brake light and individual brake lines for each axle. 5 point seat belts are mandatory and so is full face helmet with a proper racing suit. Two kill switches, fire extinguisher, a transponder and flame-protected driver cockpit complete the mandatory requirements. The philosophy of the event and design principle of the cars have remained the same. Every year, however, there are some changes in the regulations to improve the safety and performance of the cars by a margin. One change that I can immediately notice from the older cars is the mandatory requirement for Splash guard and drip pan in the engine bay since the Petrol tank is now almost above the engine. The role of the TEJ is to ensure that the ATV is fabricated within the event specifications and satisfies all safety checks. 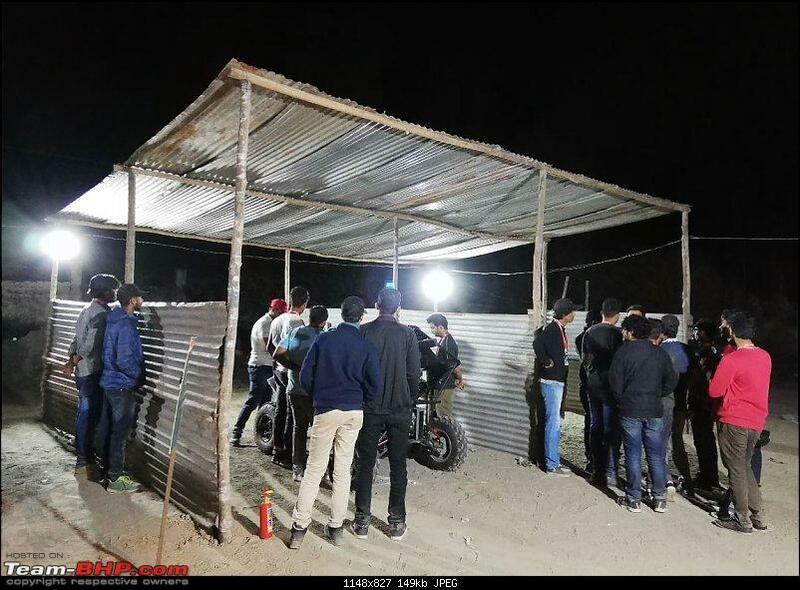 This takes place in the event venue and is the final verification done to ensure the safety and functioning of the ATV. Every vehicle is thoroughly inspected based on a checklist and only after the verification, the team progresses to the next stage of dynamic events. The inspection routine involves ensuring good fabrication techniques, ergonomics for the driver, proper safety restraints and solid integration of various parts. Documents are analysed to ensure the part details are matched in the real car along with the bills. One of the most interesting parts of the inspection is ensuring that the driver(s) is able to get out of the vehicle in 5 s, which is quite a spectacle to witness. Teams are usually given a preliminary assessment report after the inspection based on the points that need to be rectified. Once the team rectifies the points in a satisfying manner, they are given the green light to be taken to the track. At the track, the teams have to pass a Brake test to finally be eligible to compete in dynamic events. 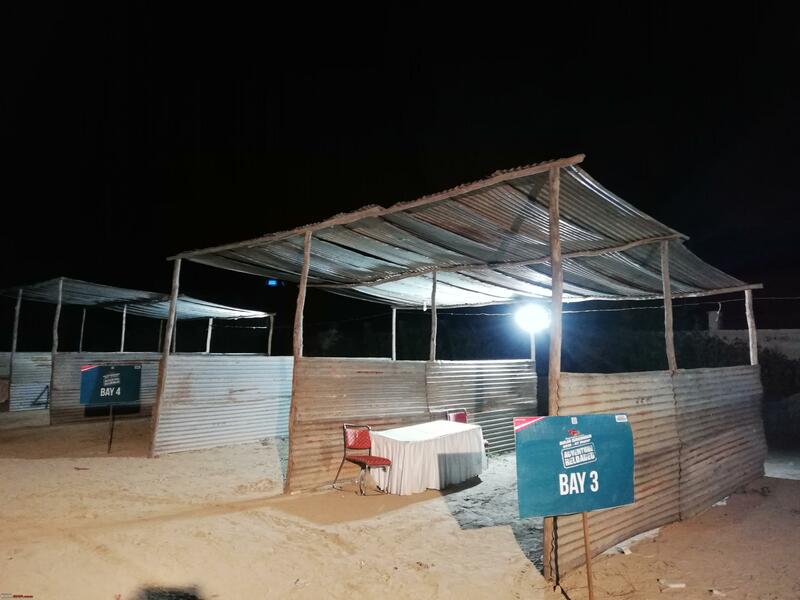 The event at Ropar is relatively new and has been organised to accommodate the growing list of participants. 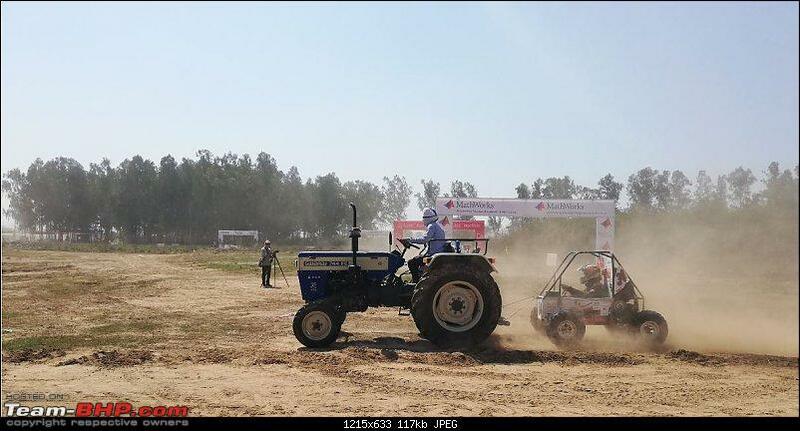 I am told that the Indore event is much more competitive and challenging as a track. On the other hand, Ropar has a good mix of experience from regulars to newbie teams. The newbie teams are those who interest me the most. 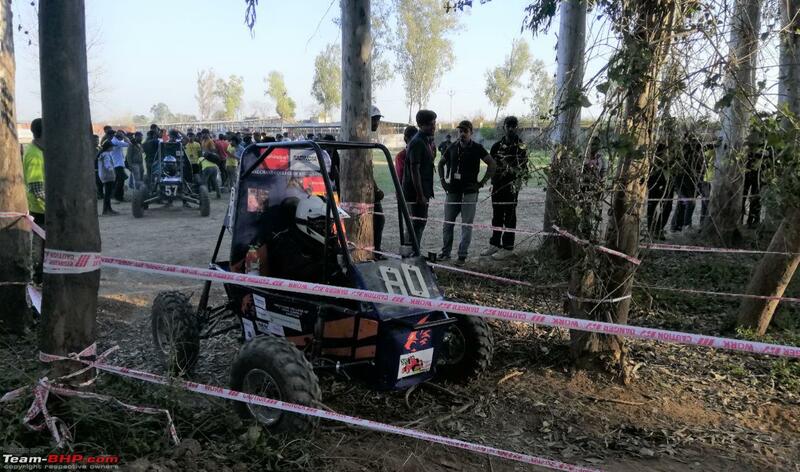 While the experienced teams (those which had built ATVs before for this competition in the previous years) have some legacy to support but it is the newbie teams that are taking their first step in fabricating a car and learning a lot. Therefore they are much more susceptible to compliance issues with regulations. And there arises an interesting part of guiding them by providing practical engineering suggestions, which I enjoy the most. For example, most teams realize the reason for demanding two separate brake lines with individual brake fluid reservoirs for damage limitation in case of failure. But, many don't realize the use of braided cables against the simple brake tubes. The brake lines used in the Automotive industry is just not enough for the student made ATVs because in the case of later the brake line routing is not constant. The brake lines will be adjusted to accommodate other components and will be constantly bent on either direction since it is flexible. But students don't realize this might damage the solid wall tube due to continuance compression and expansion at the same point while rerouting. Once the students listen to this explanation, then the nod that ensues gives the greatest satisfaction. And one can be assured that their ATV will have a braided brake line the next time. Once the teams get to see this event, they immediately realize why there is so much fuss about having proper finger guard for their CVT belts and exposed brake rotors. When the ATV is dangling over the rubble patch, no one knows where the helpful marshall's hand slides on to grip. The poor chap should be confident and safe to push and pull the vehicle. For a mere spectator, this event might not have the glamour of a Formula car race but nevertheless has its own charm in owing to a special ingredient that is part of the DNA. The student spirit. Simply put, the student teams are the stars. Anyone who has been a part of a student team representing an Institution knows how it feels. The event exposes not just their intelligent quotient but also their emotional quotient since the energy involved in each and every stage is so huge! It is no wonder that a part of that energy gets induced onto those who are managing the event and miss their student days. An inspiring factor apart from the technical solutions that some teams come up with is the abundance of empathy for fellow teams. Motorsports is all about cut-throat competition but when the student spirit is still alive, there is scope for empathy. I came across many teams that had helped fellow teams in dire situations by providing their tools and spares so that their peers stand a chance in the competition. In extreme cases, some teams that couldn't take part in the competition anymore due to various reasons, have generously lent their stock parts i.e the ones that are actually fitted in their car to other teams that are still in the contention. This act of empathy is seldom heard of in Motorsports or any other professional sports for that matter. 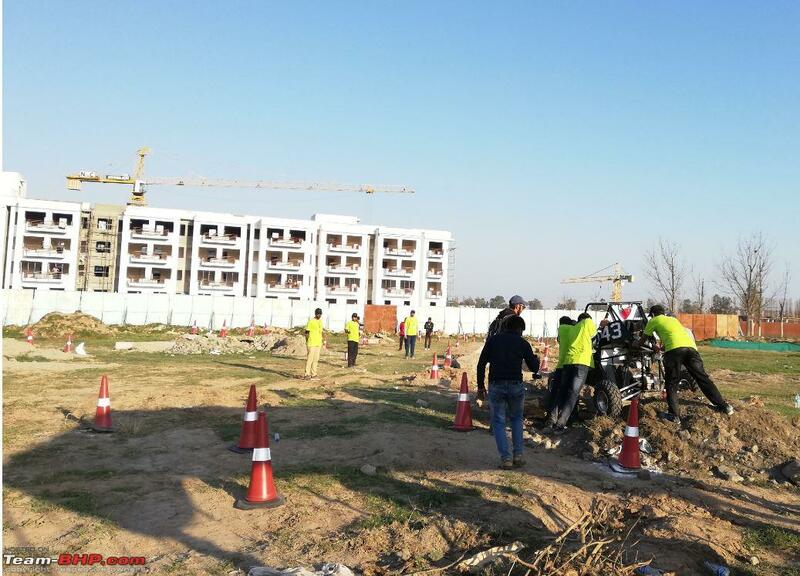 Having gone through the ordeals in designing, building the car for a year and bringing the car to the site, the students value the effort highly. They do not let the effort get ruined without a good fight even if it is for a rival team. And this is the hallmark of student spirit that makes events like BAJA much more fascinating. Many of us who only follow the top series in Formula and Endurance racing championships are trying to appreciate the taste of a cocktail without ever tasting any of the individual ingredients, IMHO. The significance is masked when one doesn't look at lower level series that feed into the mainstream. A personal realization that I had is the understanding of the details in small things that will eventually help in appreciating the mega complicated things. Landmark events like Formula 1 and 24 hours of Le Mans become mere spectacle when one cannot appreciate the effort and engineering that has gone into these machines. The appreciation for the top tier sports is much higher when one is involved in a lower tier series. For example, only when one realizes what it takes to make a car accelerate in a straight line does one get a full rush of accelerating to 100 kph in a couple of seconds flat. No wonder, Indian government saw Formula 1 as an entertainment show and not as a sport! Where are our feeder series? It is a shame because there are so many talents in our country and brands promoting it but the following is very limited. To stay relevant, one has to balance both the basics and advanced in a proper way. In the Industry where we are facing a rapid onslaught of electronics, programming and automation, Mechanical engineering often loses the limelight. 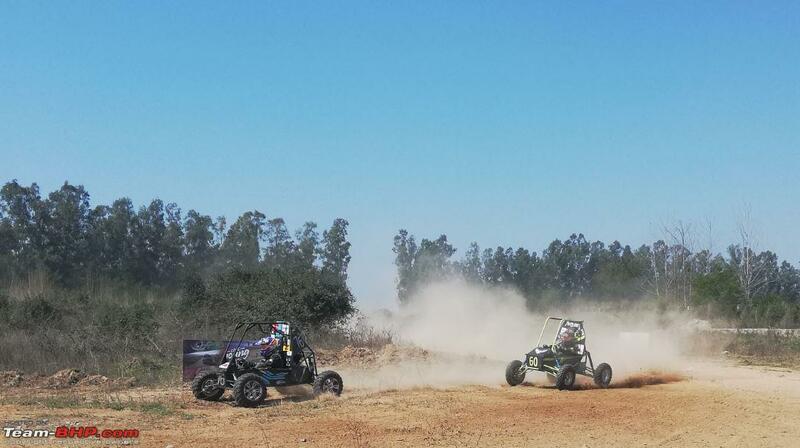 And events like BAJA should also constantly evolve to promote new skills among students. The recent inclusion of full electric ATV series and innovations in design event are good examples. And this event provides one of the best platforms when it comes to good old Mechanical engineering skills. The continuously evolving Industry trends where even headlights have hundreds of lines of code requires an engineering graduate to have multiple skills augmenting his core knowledge and this event will put to test exactly that. But often, the student teams are from the same Department rather than having a multi-disciplinary team. And that is something that I would like to see change. "Jugaad" might be a fancy thing but in an endurance race, the duct-tapes and zip-ties will not even make it to the starting grid leave alone the checkered flag. 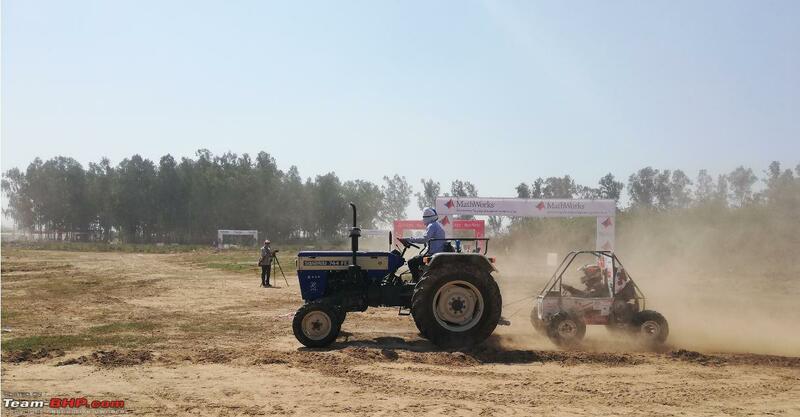 Once the students see the vehicles in the track and the interaction with Track Marshall, they immediately realize why proper Safety scrutiny is such a concern. Often, the simplest design that is well tested makes it to the podium. Simple and functional engineering is easier said than done. Especially, with the onslaught of numerous software programs to simulate the various attributes of the car, students sometimes tend to lose the core idea of their design. Mere skills in the Software in just using the GUI(Graphic User Interface) rather than understanding the basic principles. This fancy culture of showing numbers, graphs and images has in some cases been just an exercise. Students should move on to simulating the systems and their interactions apart from mechanical behavior alone. That is one shift I would like to catalyze. At the end of the event, it was not just a feeling of feeding one's passion but also that of guiding new teams in good engineering practices. No classroom can ever match the learning that the student acquires from the ground practically. The students feel accomplished and at the same time get the urge to do it better the next time. And that is what makes this event a success, year after year! 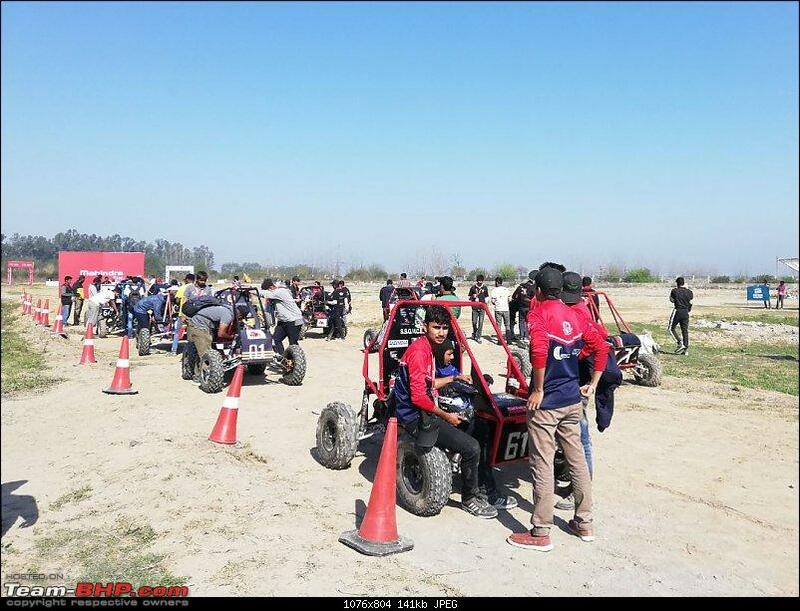 Some pictures from the event: The grid of some 40 odd ATVs for the final 4-hour Endurance run. These were the ones who managed to remain in one piece after going through all the other tests. A perk of being in a smaller event. One can wander around different areas of track that a normal spectator wouldn't be able to go. Here, I was able to look at how live feed is prepared at the Media corner. Basic stuff with a manual operator selecting the "Live" feed out of tens of other feeds from different cameras across the track. But good enough to get a feel for how it is done. Sadly, no Helicopters but there were drones! The lift to the Pits during the Endurance Run. Here the Pitstops are usually for Fuel and not for Tyres. If the car breaks down in the track and it does a lot with failures of the suspension or powertrain components, it is towed to the Pit to be repaired. No change in tyres since there is not much wear. Looking forward to hearing about your build and motorsports adventures. Note: I have no personal advantage in promoting this event which is non-profit. My views and opinions are as an independent Volunteer and don't represent any organisation/person linked or otherwise to the event. 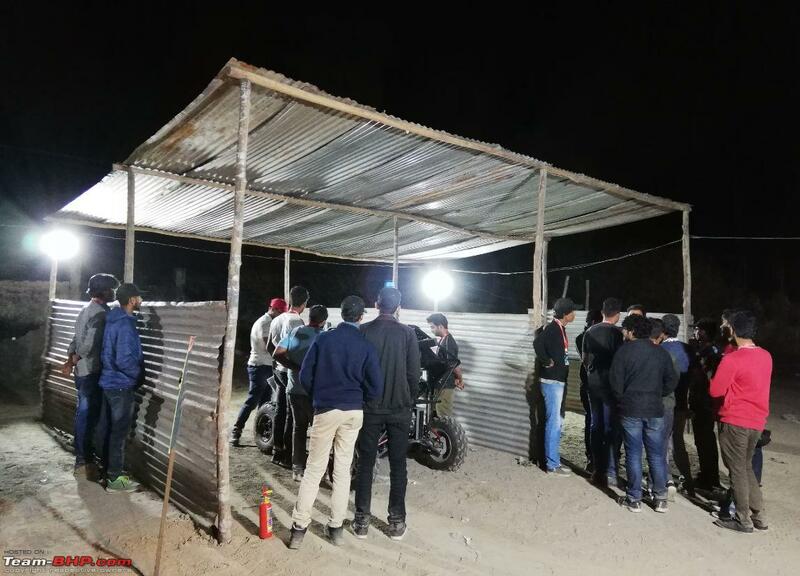 re: Unique experience as a Technical Evaluation Judge at BAJA 2019 student motorsport event! 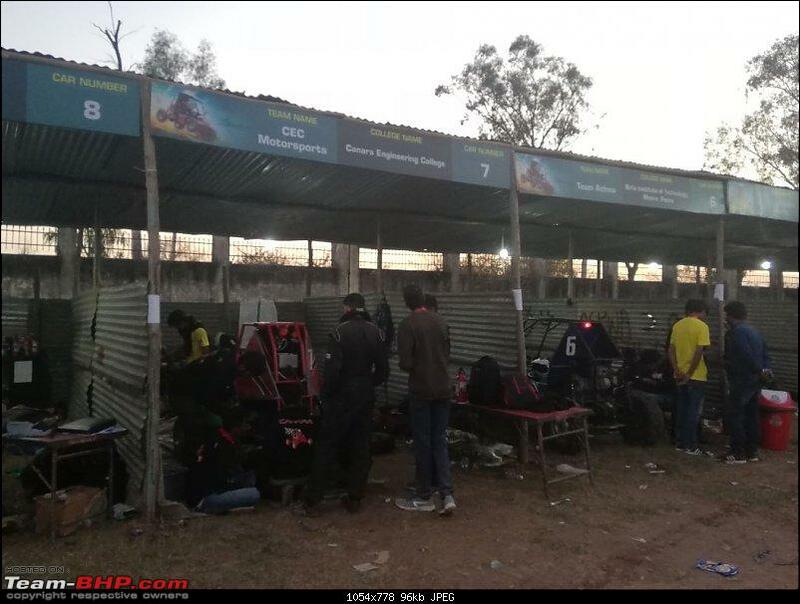 Moving thread from Assembly Line to Indian Motorsport forum. Thanks for sharing! A fantastic report vivee90! Thanks for sharing, learnt a lot about the event. I hope this gets proper focus and more colleges start participating. Could you please elaborate a bit more about the good fabrication techniques part? Also, is it really possible to figure out the safety of the structure by doing a visual inspection? The inspection routine involves ensuring good fabrication techniques, ergonomics for the driver, proper safety restraints and solid integration of various parts. I liked this part the most, specially in the current competitive world! This act of empathy is seldom heard of in Motorsports or any other professional sports for that matter. Having gone through the ordeals in designing, building the car for a year and bringing the car to the site, the students value the effort highly. They do not let the effort get ruined without a good fight even if it is for a rival team. And this is the hallmark of the student spirit. And this is the hallmark of student spirit that makes events like BAJA much more fascinating. Last edited by BlackPearl : 23rd March 2019 at 08:17. Thank you Blackpearl. Some good fabrication techniques deal with the welding and assembling process. The preparation of weld surfaces, using proper grade materials and quality of the weld in the joints. And assembling is generally about using the right grade of fasteners, ensuring drill holes are sleeved and at least two threads are visible in all bolts. The rule book suggests using of Nylock nuts for all critical components like suspension mounts. And the general practice of not having sharp edges and loosely mounted parts. So, these are some of the aspects we check. Visual inspection is done as the final stage in the event site. 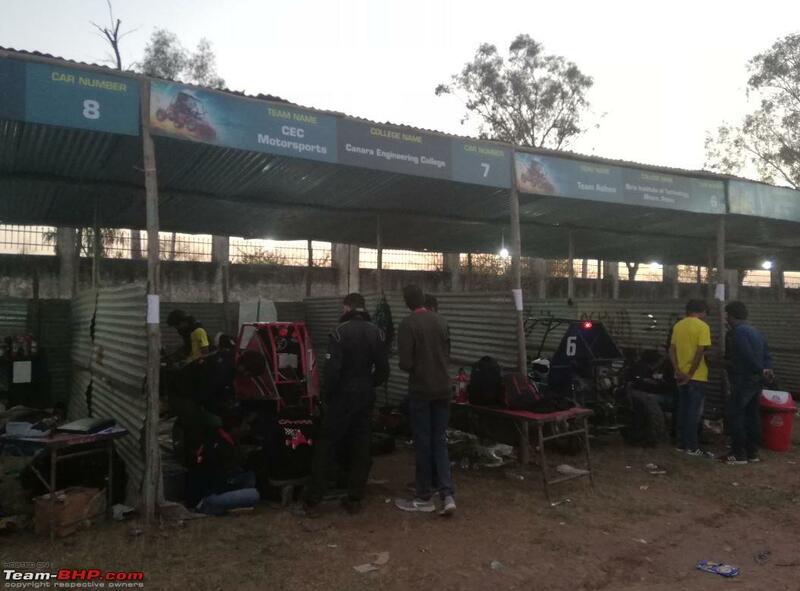 The teams that are coming here must have already proved their Roll-cage design through calculations and simulations even before the event. So, this is more like ensuring compliance and checking safety. Hope it answers your questions. The rule book is also publicly available if you are curious. I was a participant at the 2016 & '17 events, and have had the privilege of sharing the podium with my team in 2016 for the overall 3rd place trophy. The personal transformation that I underwent during these 2 years was immense. Apart from gaining the obvious technical skills, what's more important is that one develops greatly on crucial fronts like the ability to work in teams, communication and project management. It also provides a great exposure to the real world, which only motivates you to aim for greater heights. Did you get to see any electric models? I have seen a few. They were on display a few years ago if I remember correctly, when electric cars were at their infancy in India. If so, please do send pictures. Did you get to see any electric models?. Nope. 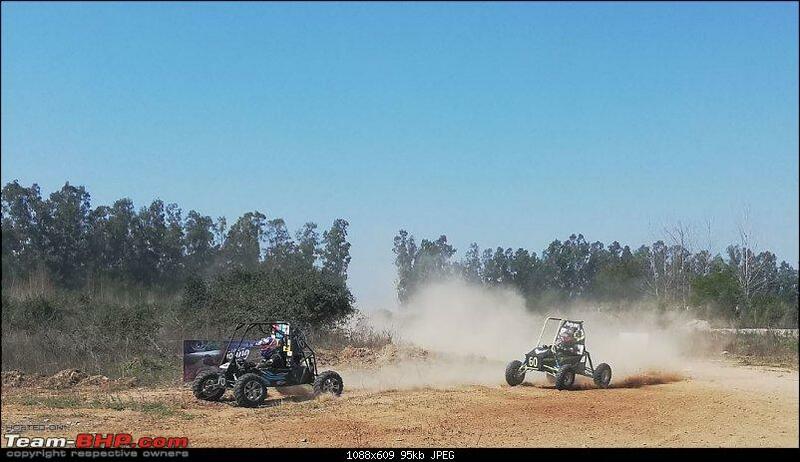 The electric ATVs are tested at a different event site than the one I visited. Thanks for the great insight into things Vivee90! You clearly seem to be a bit nostalgic of the student feel. How did you get selected as a judge? And what was the most common point of failure during the competition? Drivetrain? Suspension? Or something else? Thanks, Rehaan. Usually, through the network. I got an invitation through a friend and had to take an online quiz based on the current year's rule book. Based on the score and the requirements, one gets invited. 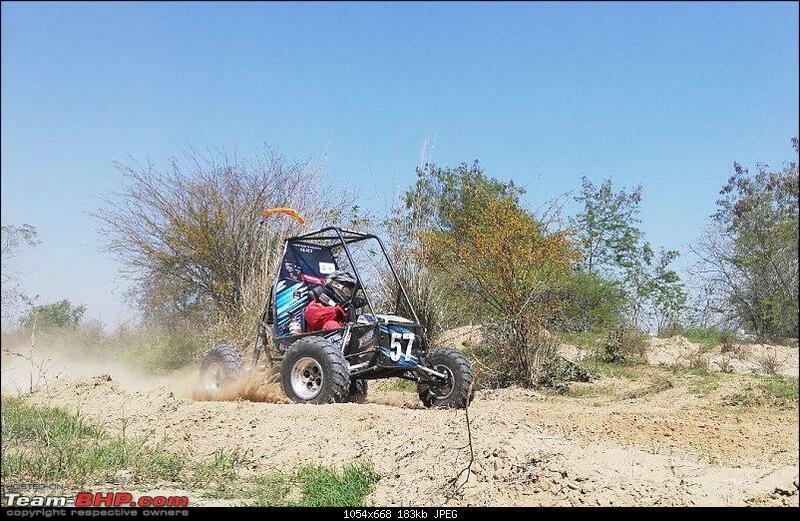 Generally, they either require direct experience in a BAJA team as a student or a few years of Automotive industry experience. 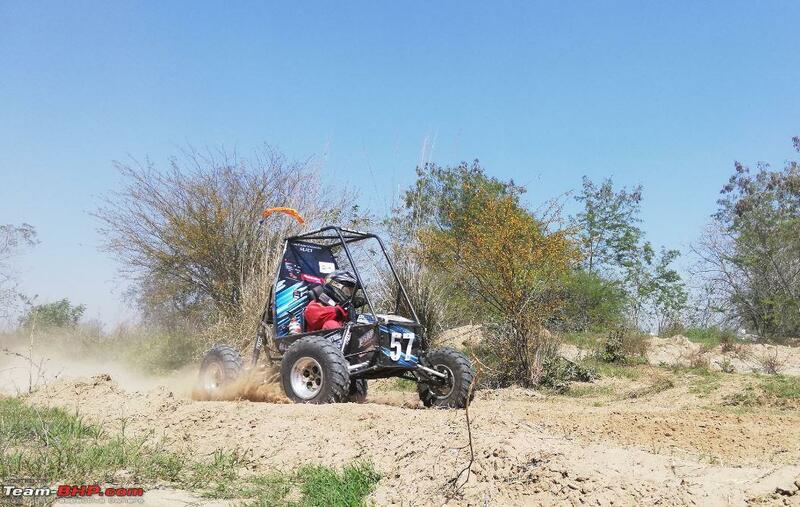 Main failures were the Suspension and steering components, especially the knuckles, tie-rod joints and mounts followed by gearbox related issues.